President Obama outlined on Feb. 26 the four-year, $302 billion surface transportation reauthorization proposal that will be detailed in the budget request he will make next week. He also announced $600 million for a sixth round of Transportation Investment Generating Economic Recovery (TIGER) grants. Applications are due April 28. 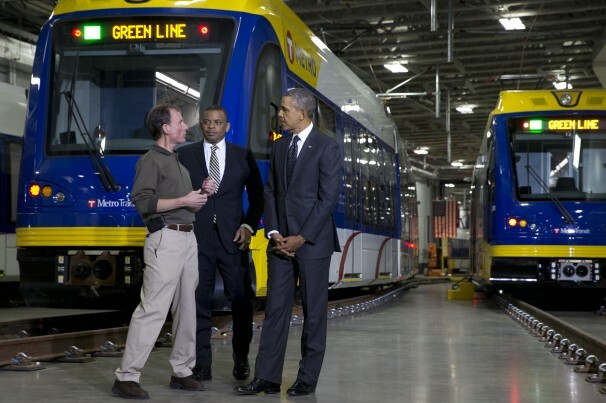 Obama was speaking in St. Paul, MN, where he cited the projects of Metro Transit and the Ramsey County Regional Railroad Authority as among the success stories of previous federal investment. Look for more details in the next issue of Passenger Transport. In another development related to MAP-21 authorization, on Feb. 26 Rep. Dave Camp (R-MI), chairman of the House Ways and Means Committee, released a "discussion draft" for comprehensive tax reform. It called for dedicating $126.5 billion to the Highway Trust Fund to fund infrastructure for eight years. 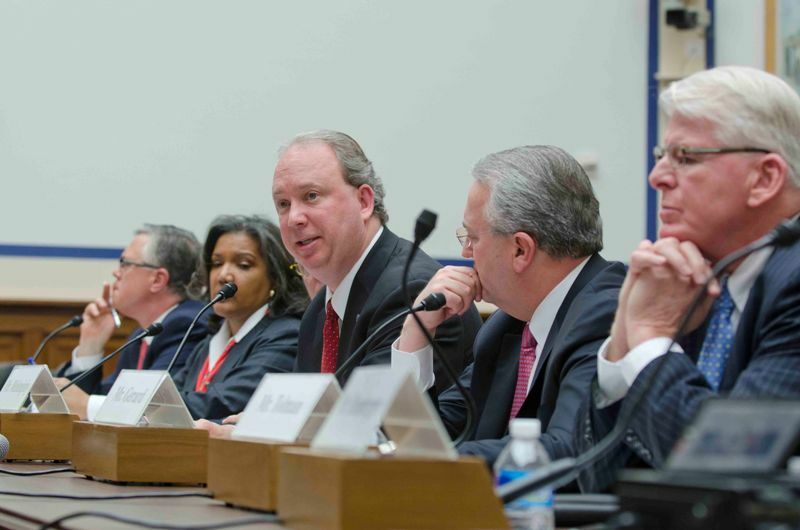 APTA President & CEO Michael Melaniphy testified alongside other experts about passenger and freight rail safety before the House Railroads, Pipelines, and Hazardous Materials Subcommittee on Feb. 26. "APTA's commuter railroads support and are committed to the implementation of [Positive Train Control], " said Melaniphy. "We urge the committee to focus on how best to install these developing systems on an enormous and complex network of interconnected railroads in a way that maximizes all of an operator's safety considerations while efficiently moving toward implementation." A DOT report released today highlights the need for investment to improve our roads, bridges, and public transit systems. The report indicated that as much as $24.5 billion was needed per year to improve the condition of transit rail and bus systems. Smart spending on infrastructure will create jobs and allow the United States to stay globally competitive and connect citizens with their communities and employers, according to the report. APTA's 2014 Bus & Paratransit Conference is set for May 4-7, in Kansas City, MO. Workshops and sessions cover everything from policy and planning to safety and security. An early bird registration discount is available until March 28. Sign up now! Why more U.S. cities need to embrace bus rapid transit. Federal and state government funding for public transportation is increasingly inadequate. How states and the federal government can find the best path for future public transportation stimulus.